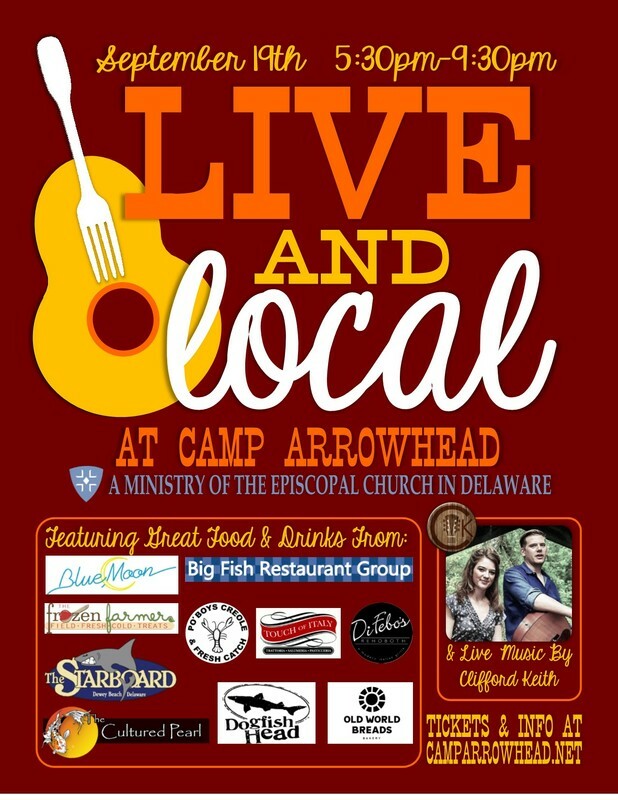 Come join us for an evening at camp hosted by Blue Moon, DiFebo’s, The Cultured Pearl, The Starboard, Po’Boys Creole & Fresh Catch, Dogfish Head, The Frozen Farmer, Old World Breads, and Touch of Italy for a very memorable dining experience. The evening will begin with a cocktail hour at the camp plaza with a three course sit down dinner served in the dining hall. Music will be provided by Clifford Keith during the dinner hour. The evening will end with dessert and a bonfire on the waterfront. This is an over 21 event. IDs will be checked at the front of camp. Tickets are $75.00 per person. Money raised at this event will go to support our Capital Campaign for a new Dining Hall and Bath House facility.